The US FDA recently gave approval for Panobinostat for the treatment of Relapsed Multiple Myeloma. Previously in 2014 it was rejected by FDA Oncologic Drugs Advisory Committee due to its adverse effects. 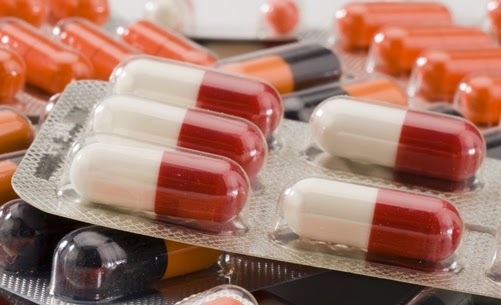 After rejection the manufacturers again submitted additional information to FDA about drug. By studying all the information FDA approves Panobinostat. It is approved to use along with bortezomib and dexamethasone. It is effective in the treatment of Relapsed multiple myeloma in patients who received bortezomab for past 2 years. It is the new class of agents that acts as histone deacetylase inhibitor. 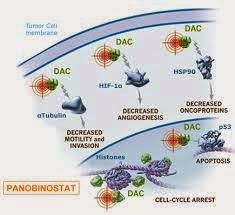 It is having new mechanism of action than other cancer agents as histone deacetylase inhibition makes this drug attractive among other cancer drugs. The safety and efficacy data of Panobinostat is based on the clinical study on 193 patients who had received prior treatment with bortezomib and immuno modulatory agents. The clinical phase used is phase 3, randomized,double blind,placebo controlled, multicenter global registration trail. This drug is having several adverse effects which make it rejection by FDA previously. The most common side effects of this drug in clinical trails are diarrhea, fatigue, nausea, peripheral edema, decreased appetite, pyrexia, and vomiting, with the most common nonhematologic laboratory abnormalities. Common hematologic abnormalities include thrombocytopenia, lymphopenia, leukopenia,neutropenia and anemia. The serious side effect include cardiac toxicity and severe diarrhoea. So, the patients who receiving panobinostat had to monitor for the adverse effects especially for anemia.